Show your school spirit while expressing yourself in text messages! 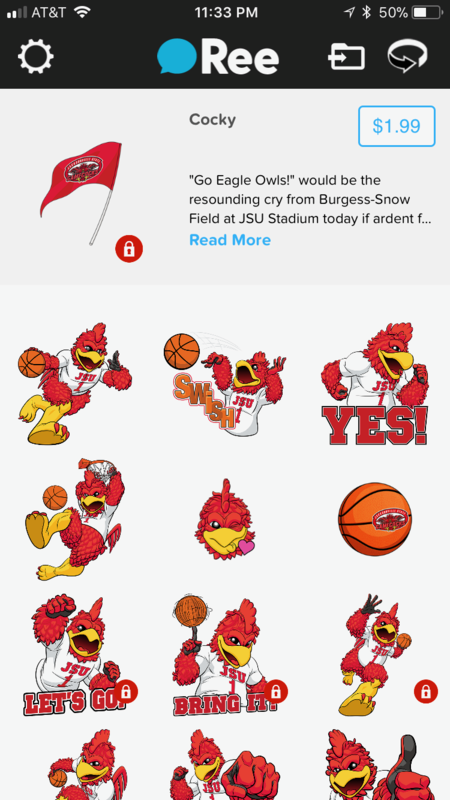 A new JSU sticker pack is now available on the Ree Sticker app on Google Play and the Apple App Store. Once you install the app, select the JSU logo and wait for the pack to download. You'll get six stickers for free and the option to buy the whole pack for $1.99.